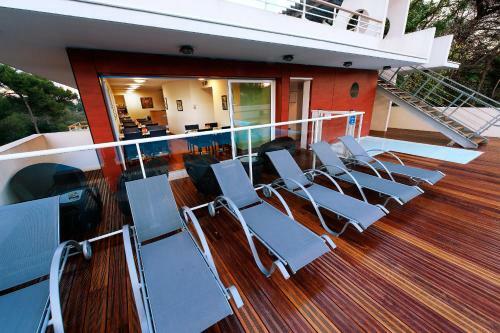 Olympe is located in the heights of Antibes, between Nice and Cannes. This residence offers a swimming pool and a solarium just 5 km from the beach. 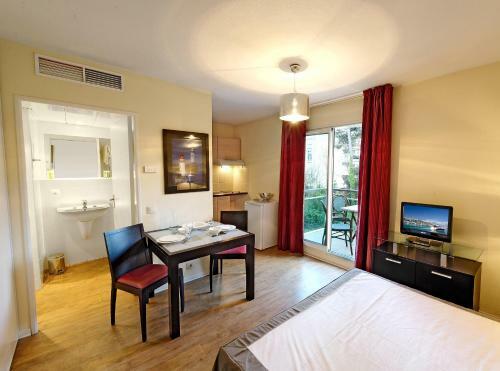 The air-conditioned apartments at Olympe have an LCD TV, Wi-Fi access and a furnished balcony. Each has a private kitchenette featuring a dishwasher and a fridge. There is also a microwave for preparing meals. Guests can enjoy a daily breakfast in the hotel’s cafeteria or on the terrace which overlooks the swimming pool. Other facilities include a launderette and a car park with underground parking. 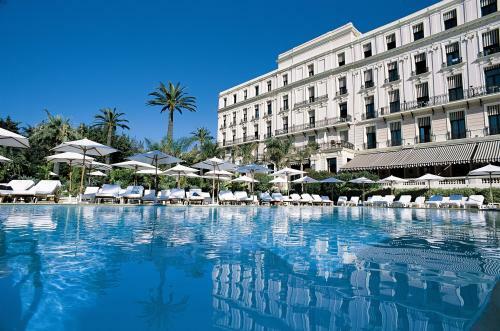 The Olympe is 4 km from Antibes town centre and its Riviera beaches. Cannes and Nice Airport are both a 20-minute drive away. The residence is easily accessed from the A8, a 3-minute drive away and it is a 10-minute drive from Sophia-Antipolis technology park. Guests arriving after 20:00 are kindly requested to inform the hotel in advance. Contact details can be found on the booking confirmation. Please note that reservations for breakfast should be made prior to 18:00 the day before. Bed and bathroom linen and a cleaning service are included in the rate, please contact the hotel for more details.